Beaver Creek is a neighbourhood that welcomes all visitors. Part of the neighbourhood’s charm is its small-town feel. The riverfront and mountain views showcase the area’s natural beauty. Learn about Vail - Beaver Creek? The service is wonderful and great location. Everything was great. Vail is one of the most popular ski towns in the country. While many people live in the area throughout the year, the region really comes to life in the winter months. Thousands of travelers flock to the city for the top hotels, condominiums and other rental properties. When looking for Vail hotels, you should think about what each of the surrounding neighborhoods offers. The Vail area surrounds the main resort, but you can also find resorts in the area of Beaver Creek. The Beaver Creek Ski Resort offers amazing views of the surrounding valleys, and you can find affordable Beaver Creek hotels in this area. 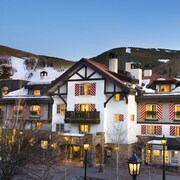 As the resort isn't as well known as those in Vail, you can often find discount rates in this area. 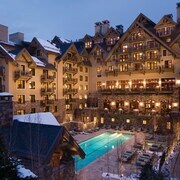 If your idea of a good time involves luxury hotels, you should book a hotel in Lionshead or Vail Village. Most of the 5 star hotels in Vail are in this neighborhood, but you can also find some luxurious accommodations in East Vail. In general, the closer to the ski resort that you stay, the higher the price. The best hotels in Vail CO depend on what you like. 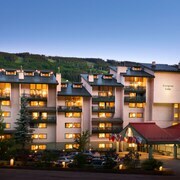 If you need multiple things to do, you will want a hotel near the Vail Golf Course or ski resort. If you prefer fewer crowds, you might enjoy staying in Mountain Star, but keep in mind that these hotels are often more expensive. Edward and Lake Creek are better options for those traveling with pets because many of the properties offer pet-friendly accommodations. Flights to Vail - Beaver Creek let you enjoy the best of both towns whether you stay in Beaver Creek hotels or Vail colourado hotels. When looking for Vail - Beaver Creek holidays, make sure that you check out the deals offered by Expedia. From cheap rental cars to Beaver Creek colourado hotels, you can find exactly what you need. Vail is home to more than ten different neighborhoods, and each neighborhood provides a different experience for travelers. Whether you want a quiet and relaxing trip to colourado, or you crave the excitement of staying right on the mountain, we can pair you with the right hotel. Explore Vail - Beaver Creek with Expedia's Travel Guides to find the best flights, cars, holiday packages and more!